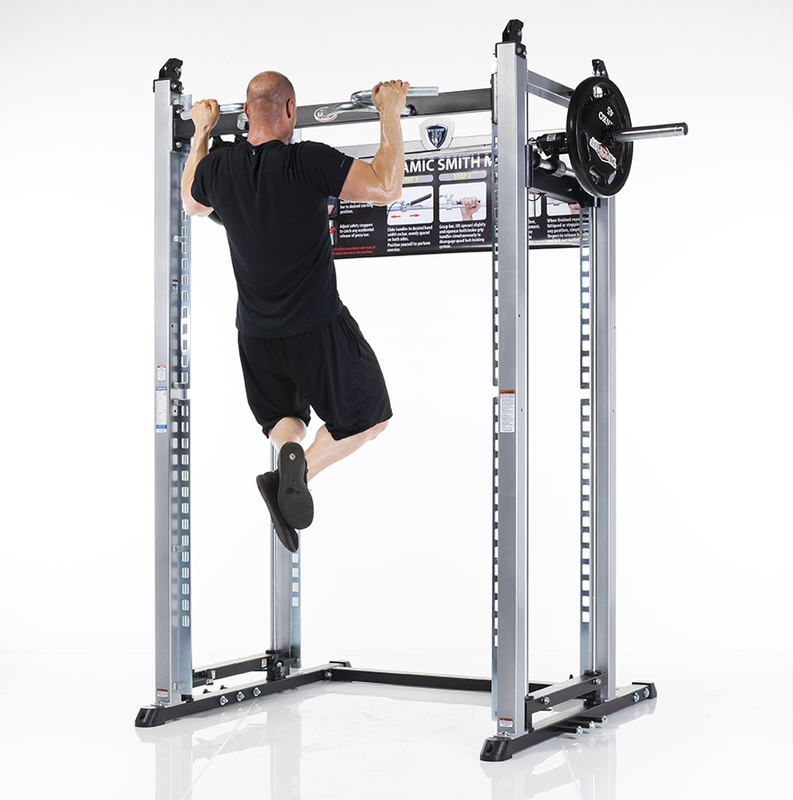 The TuffStuff XPT Training System (XPT-051C) is the fitness industry’s first and only “self-spotting, free-weight training system” allowing vertical, horizontal, diagonal, lateral and rotational bar movement. The XPT-PRO is the safest, most effective training tool for building explosive strength and speed. 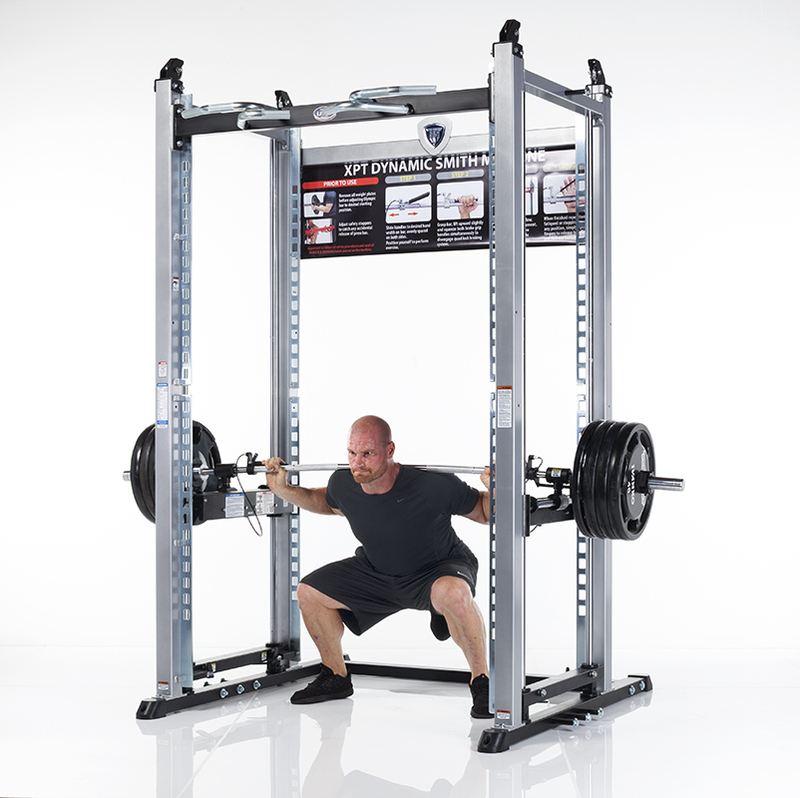 No other power cage includes a free-form barbell with a “Quad-Lock” braking system. With the XPT-PRO, users can perform conventional lifts, Olympic lifts, traditional and functional movements, and explosive / competitive movements to bridge the gap between the weight room and in-game performance. Maximum weight load capacity 600 lbs. 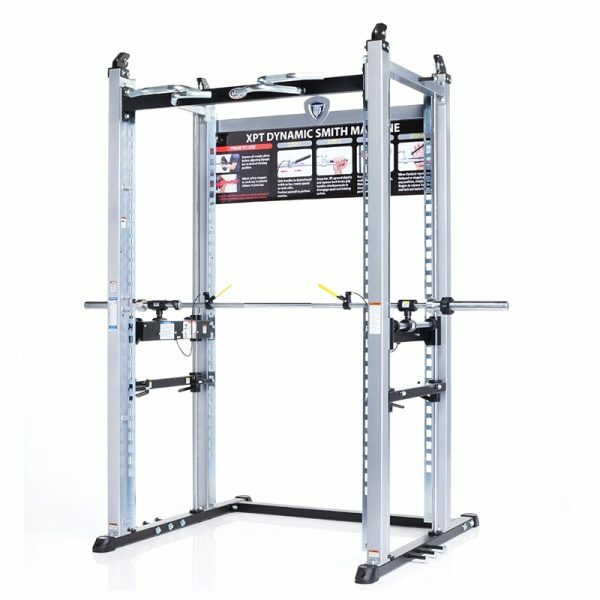 The TuffStuff XPT-PRO Self Spotting Power Cage (XPT-051C) enables users to perform conventional lifts, Olympic lifts and explosive, competitive movements to develop the highest levels of speed and power. The XPT-PRO was designed and developed in collaboration by Brady Poppinga (NFL Veteran & 2010 Super Bowl Champion) and TuffStuff Fitness International. With unlimited barbell motion, the XPT-PRO eliminates the need to purchase expensive bumper plates for explosive training. 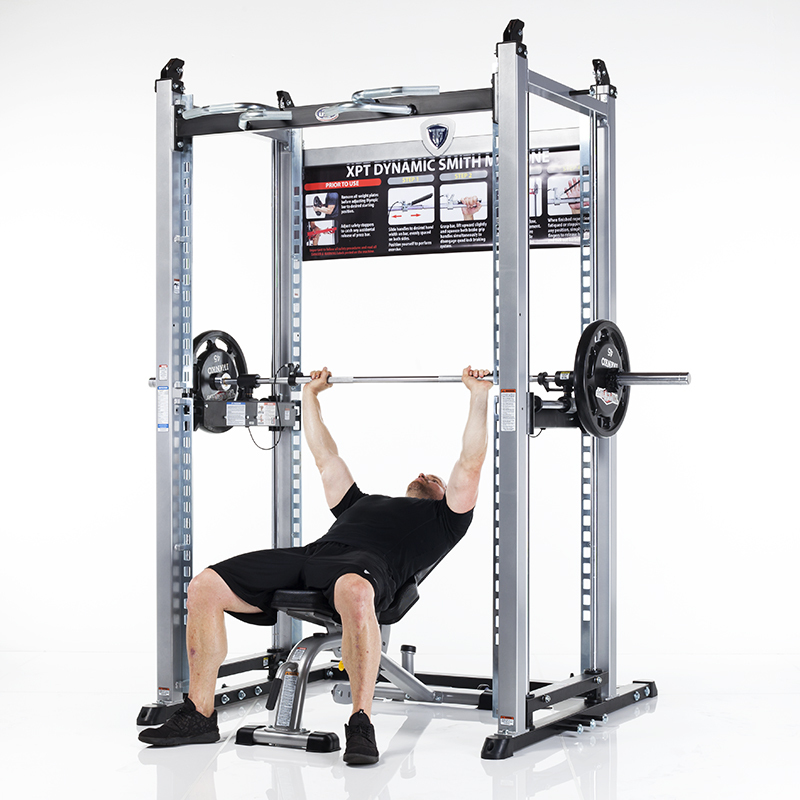 What is the difference between a conventional Smith Machine and the XPT-PRO Omni-directional guided barbell system? 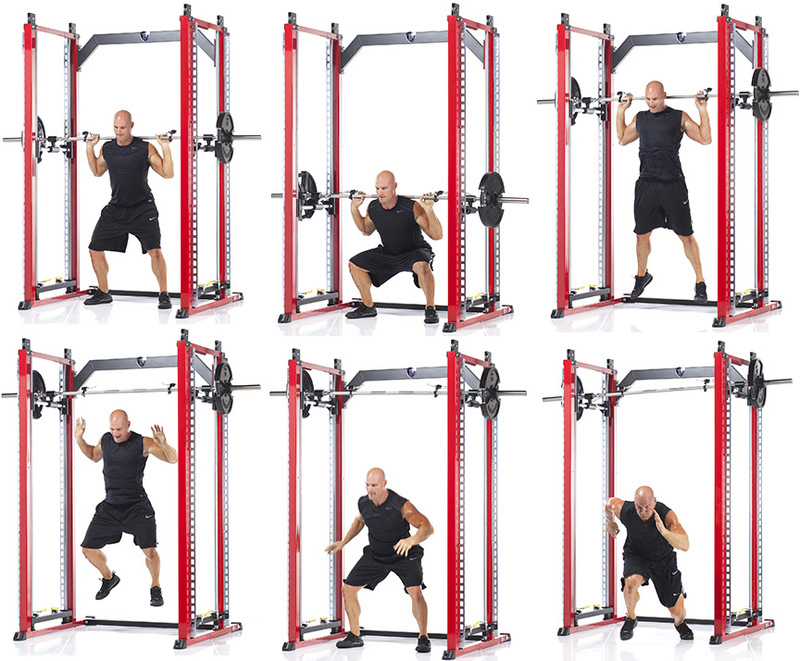 When it comes to self-spotting free weight machines, everyone is familiar with the tried and true Smith machine. 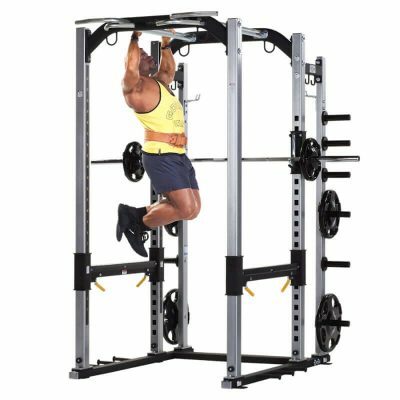 A Smith machine consists of a barbell that travels on a fixed plane of motion up and down steel rails, allowing only vertical movement at 90 degrees (or just slightly angled from completely vertical). 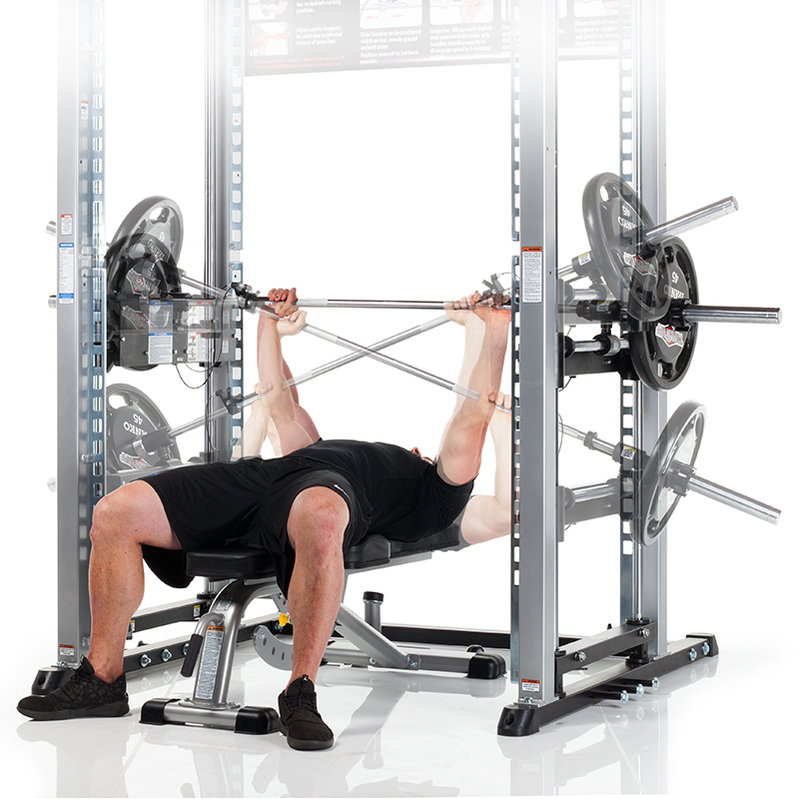 The bar on a traditional Smith machine is permanently mounted horizontally so that balance or stabilization of the loaded bar is not factored into the exercise. The XPT-PRO starts with the basic concept of a self-spotting Smith machine, but then explodes past it in all other ways, quite literally. 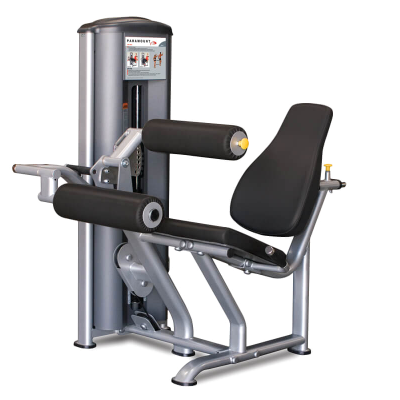 While a Smith machine is locked into one vertical plane of movement, the XPT-PRO is completely free-form, or “3-D” in its movement. Free-form movement allows the bar to not only move upward and downward, but also forward and backward as well. Since each side of the bar works independently on its own freely moving carriage, the XPT Training System allows a much more authentic lifting experience. As both the balance and stability of the bar are factored into the functional movement being performed. TEN (10) YEARS: Structural frame (coating excluded) and welds. ONE (1) YEAR: Safety Lock components & locking pins and Quad Lock brakes components (excluding cables); Locking-pin cables, release handle cables and counter-balanced cables. All other parts not mentioned, one (1) year from the date of purchase to the original purchaser (applies only to defects from manufacturer). 6 MONTHS: Finish (applies only to defects from manufacturer). 3”x3” 7-gauge and 2”x3” 11-gauge tubular steel construction. Deep penetrating electrically welded high strength frames. All frames are designed to anchor to floor. 600 lbs. (including bar weight). 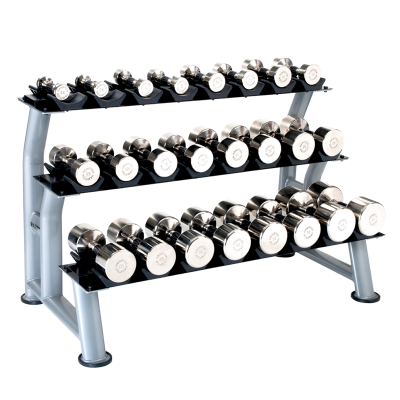 The XPT Training System includes a powder coat finish, baked to insure durability, available for immediate shipping in standard Platinum Sparkle. Seven (7) primary color options available for no additional charge. Vertical bar range: 78" bar travel (95" highest & 17" lowest). Bar rotational range: 270 degrees.